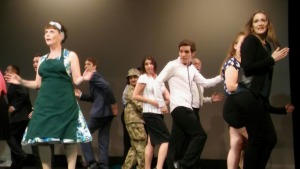 If you are interested in treading the boards and performing with us, then we would love to hear from you. 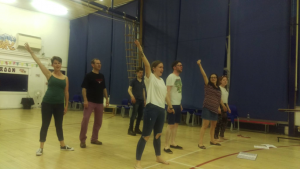 There are always opportunities to get involved with our wonderful group of performers and discovering how a musical is put together combining acting, singing and dancing. We are a very supportive group and welcome performers at all levels of experience. Pastiche rehearses on Wednesday evenings between 8pm and 10pm near Hillingdon Hospital. 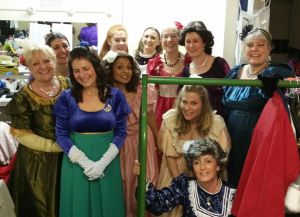 We also rehearse on Sunday afternoons between 2pm and 5pm. As we move towards showtime there may be other rehearsals on top of the twice weekly rehearsals. Come along to one of our shows and if you enjoy the experience then grab one of the performers that you’ve seen on stage after the performance and express your interest. Our performers are always happy to talk to you about our shows and being part of Pastiche! You can then either be introduced to Olivia, our Director or Dan, our Musical Director. Copyright © Pastiche Musical Theatre, 2016 - 2019.